Students in Pre K through 1st grade will practice reading, speaking, listening, and math through an interactive videoconference project. Two classrooms will pair up and students will compare what they see and experience within their local communities and create a class book or poster. Students may suggest they see various animals, landscapes, town, city, etc. 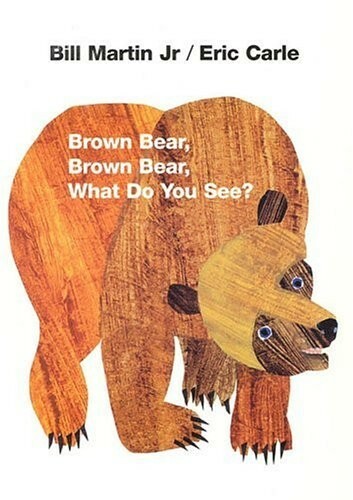 The book, Brown Bear, Brown Bear, What Do You See?, will be used as the model. Each student will also create a puppet of his or her favorite animal in the story and share it with the partner class. 5-10 Minutes - Students can say their name and an interesting fact about self. 10-15 Minutes - Students will share their favorite animal puppet in the story Brown Bear, Brown Bear, What Do You See. Teacher (at one end of the conference) please mention each animal and have students at both conference locations raise their favorite animal puppet. Teacher (at the other end of the conference) please take count (with student assistance) of the favorite animal and provide numbers at the end and ask students what animal had the highest number. Note: If possible, please make sure your camera can view all students in the classroom. This makes it easier to gather a count of animal puppets. An idea is to have students sitting on the floor and standing up with their animals when their favorite animal is called upon. 20 Minutes - Have students take turns sharing what they see (in their local community) by having them present their drawing. Note: Have student stand in front of the camera and encourage him/her to speak clearly. Teachers if you have a large NYS map or Google Earth readily available, please show students where you are located. Optional: Students can sing a song in relation to the book.